This image caught my eye because of the contrasting light and dark. I really enjoy being in the woods, and this scene is a good example of why. I love how the sunlight can just break though a small area and make it glow while the rest of the woods stay in the shadows. This seems like a happy little spot to enjoy a walk. 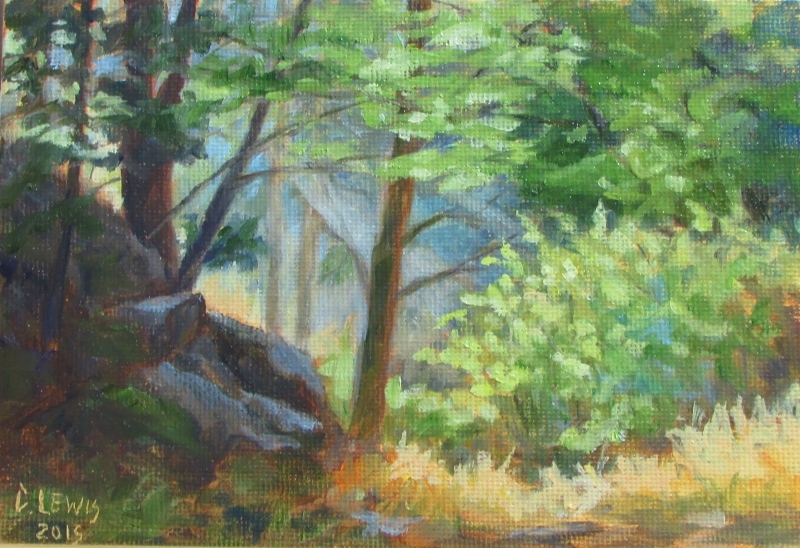 This entry was posted in landscape, light, oil painting, trees, woods and tagged light, nature, rocks, trees, woods by Artwithmycoffee. Bookmark the permalink.